Depending on our hair and face, we use foil shavers or rotary shavers. If you decided to go with a rotary shaver, then Philips Norelco SensoTouch 3D/1250x will be best for you. This tool will provide you with a high-quality shaving performance and minimal efforts. Its SensoTouch 3D system tracks each and every line of your face. The shaver can get you rid of hairs with fewer strokes thanks to its Ultra-Track heads. Whether 3D is an appropriate description or not is debatable. Nonetheless, there is no doubt that Philips created yet another valuable asset in this market. Philips Norelco is the best electric shaver that provides the best shaving experience. The Gyro-Flex 3D system comes with 3 dynamic parts. These can move frequently, pivot around, flex outward as well as tilt inward. As a result, the shaver is more than capable of following the natural contours of the face with ease. With this Philips Norelco SensoTouch 3D/1250x, you will be able to shave in any direction. Its AquaTec seal will give you the choice of either an easy dry shave or a fresh wet shave by using shaving gel or cream. The less-friction face-glide shaving float up will slide easily along your face for a close shave without any unwanted irritation. Many people would rather skip shaving the area around their necks and jaw lines. That’s because men usually have a lot of soft hair. Besides their regular rotary shave, they would have to resort to a manual blade or occasionally a razor. However, these tools can cause cuts or burns in the hands of the inexperienced or impatient. No one likes bleeding on neck area while shaving. However, Philips Norelco SensoTouch 3D/1250x is different than competition. Thanks to its super lift & cutting performance with 1250x, men can now easily remove low-lying hair under the skin level. The result is a close, even shave. 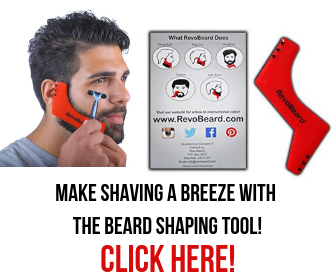 Its Ultra-Track shaving head is able to catch hair with every stroke. The 3 specialized tracks of shaving, such as – holes for the shortest stubble, slots for the long hairs, and channels for the longer hairs. The original Super Lift & Cut double blade system lifts hairs to get a smooth cut below the skin level. Without leaving stubble behind or any type of stray hairs, this shaver gets the job done effectively. Due to its removable head, Philips Norelco SensoTouch 3D/1250x makes the cleaning task very easy. Users can quickly pop up the heads which open up like a flower for a clean in the sink. It doesn’t need to be shut down constantly but only washes out under running water. This is the reason why you need not to worry about its Jet Cleaning System that cleans, lubricates, and charges at the same time. SensoTouch 3D is designed with an easy-to-grip handle covered with a control grip for the best outcome. The shaver is highly skin-friendly for your goatee or mustache as well. SensoTouch 3D charges within an hour to provide up to 50 minutes of wireless shaving. You have the Lithium-ion battery to thank for such a performance. More exactly, it will take the shaver 1 hour and 3 minutes to become fully operational and serve you longest. You’ll have enough power for a full shaving routine without worries. This shaver is completely cord-free and has a travel-lock system. It also comes with a pouch for protection. This way, you can throw it into your bag, suitcase or briefcase when you’re ready to go. On top of these, you will forget about international plug adapters. These are some of the small yet essential pieces that travelers usually forget about. However, the Philips Norelco SensoTouch 3D/1250x got you covered on this side as well. The product comes with a special function that can adjust it from 100 volts to 240 volts AC. The best part is that it can carry out this task on its own. As a result, you can cross out one more tedious entry on your to-do list and simply enjoy your traveling experience. The only downside of this best men’s razor of 2018 is that its battery is not replaceable. In other words, if you run out of warranty and the battery dies, you will have to buy a brand-new shaver. Nonetheless, there is nothing to be worried about. The shaver provides you at least 5-year warranty. Another unappealing trait of this tool stands in its price. The price tag for this Philips Norelco shaver on Amazon can be high enough to be the only thing that turns interested buyers away. In other words, you have to be ready to make a small investment in your shaving equipment. On the other hand, given today’s market, this product might be well worth it. Philips offers a quality shaver that can make your daily routine a comfortable breeze. On top of all the useful features, such as the fact that it cleans and lubricates itself, this product offers its users a 5-year warranty. This offer is way above other similar proposals of its competition. Philips electric shavers are reliable, particularly the Norelco 3D SensoTouch series. You know that Philips is very confident about their 3D shaver after Norelco 2D 1160x. This is why they are offering 45 days of money-back assurance. Moreover, they are offering between 2 to 5 years of warranty. We believe that Philips Norelco 1250x SensoTouch 3D is one of the best and effective electric rotary shaver currently. You have thousands of online reviews from pleased Philips customers to prove it to you. Therefore, you can buy it without any doubts as long as you want a smart shaver for an effective, close shave.